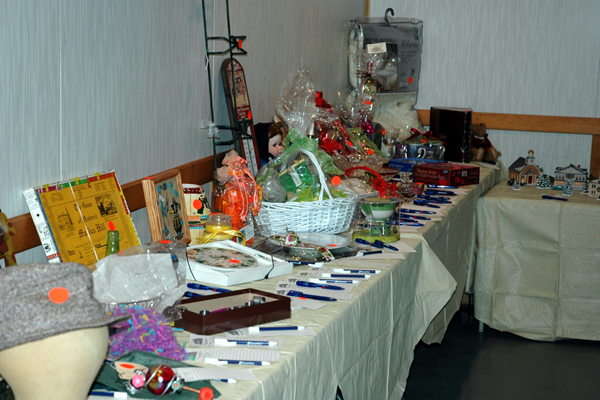 The Harrison Township Historical Society's Annual Groundhog Day Dinner and Silent Auction is set for Saturday, February 2, 2019, 6 pm, in Ewan Fire Hall, 312 Ewan Road, Ewan, NJ. This annual event features "Down Jersey" sausage links, sausage gravy and biscuits, coleslaw, mashed potatoes, candied yams, fried apples, green beans, and a dessert buffet. Now in its fifteenth year, the event is a revival of a century-old Harrison Township tradition. "The menu entrée is a play on words," said Society president, Bob Schumann. "We serve sausage - the 'ground' hog - to celebrate the holiday." The first local Groundhog Day dinners took place in the early 1900s. Local farmers belonging to the Richwood Men's Bible Class made the sausage and prepared the dinner for the entire church. "The Society's Board decided to revive the tradition, several years ago" added Schumann. "Not only are we preserving local culinary history, the dinner also helps fund the Society's activities. It's a unique local event." "We found lyrics about Groundhog Day set to familiar tunes and thought they would be fun to include on the program. "," said Society Trustee Judy Suplee. "Fifteen years later they've become a Groundhog Day Dinner tradition." Tickets for the event are $15 and available at the Amazing Grace Resource Center, 46 South Main St., Mullica Hill (856-478-9800) and only available at the door if the event is not sold out. "Advance purchase is recommended since seating is limited," added Suplee. All proceeds benefit the Society's exhibitions and educational programs at the Old Town Hall Museum, located at the intersection of S. Main St. and Woodstown Rd. in the heart of the Mullica Hill Historic District.